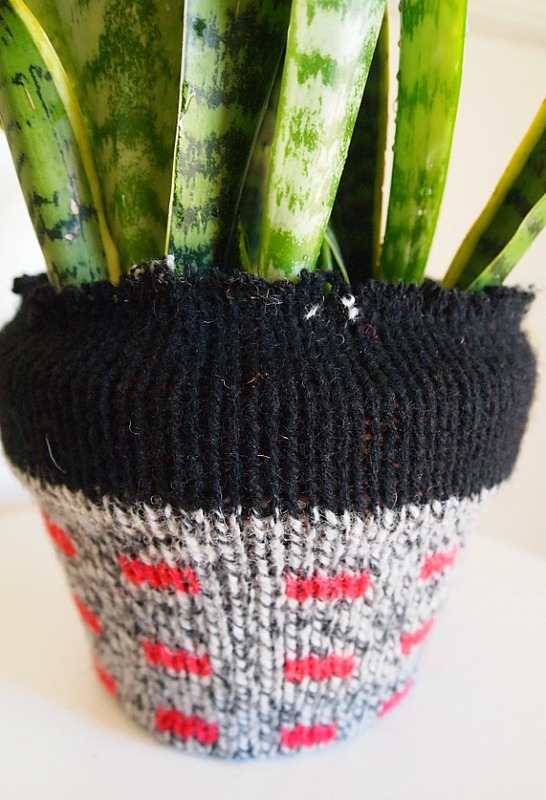 A Sweater Covered Pot – Fun Winter Project! 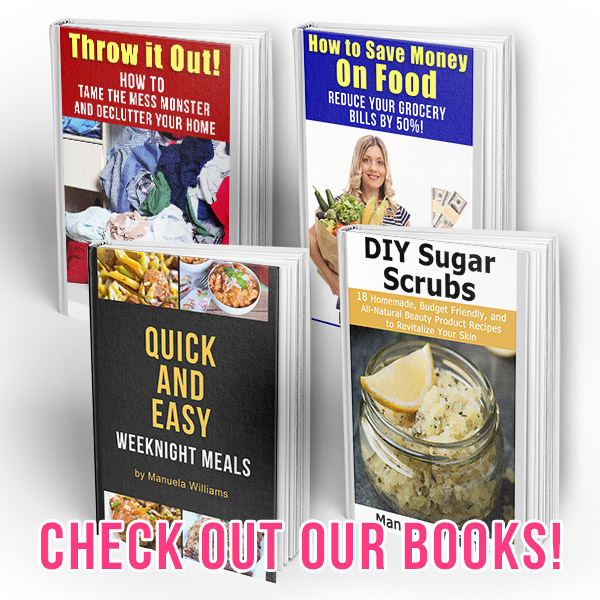 Hey all – I really love how this project turned out! I also love how quick and easy it is! 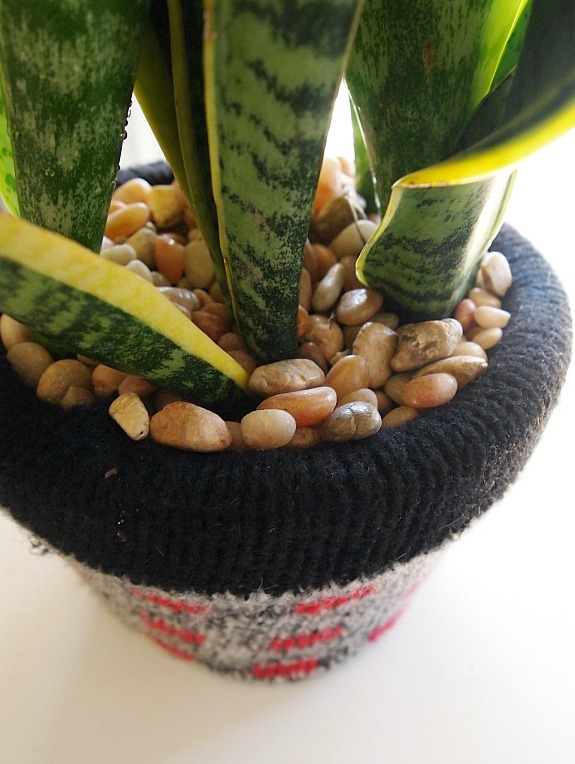 I made a little pot cozy for one of my indoor plants from an old sweater. 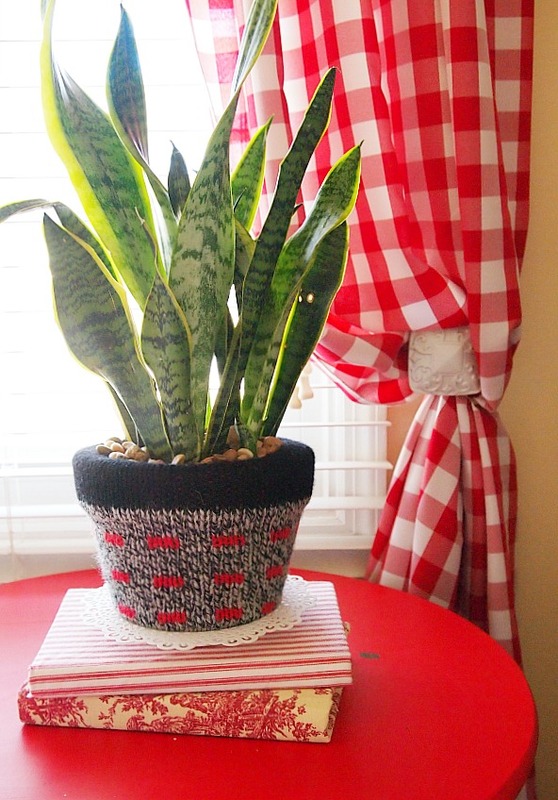 It a great way to upcycle part of a sweater and add some personality to your decor. PLUS it’s not permanent! I guess I’m really into knit projects this winter (too bad I don’t actually knit)! If you don’t have an old sweater you can always get one at the thrift store. All I did (1) was measure the height of my pot and added a few inches to that measurement (better too much than too little since you can always trim away any excess). (2) Then I used that measurement to cut off part of a sleeve on the old sweater. This sweater has bands of black so I wanted to be sure to get a band into what I cut off so that it would be part of the design. So if your sweater has a pattern be sure to take that into consideration. 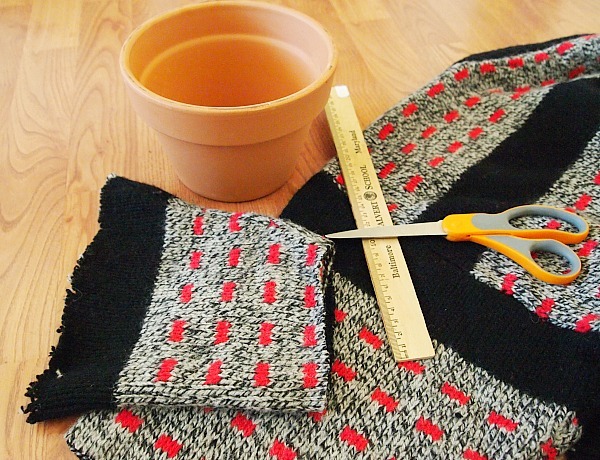 (3) Then pull your sweater piece over your pot and if your outside pot is larger than the inside pot you can just tuck the excess sweater fabric inbetween the pots. (4) If like me you have no space to tuck – just fold the top over and then cover with some little rocks or marbles to hold the raw edge in. You may want to use rocks (or something) to cover the dirt either way because that gives you a nice finished look. The bottom just tucks under and stays put but you could use a couple of dots of hot glue to hold it down if you want. Doesn’t it look cozy! 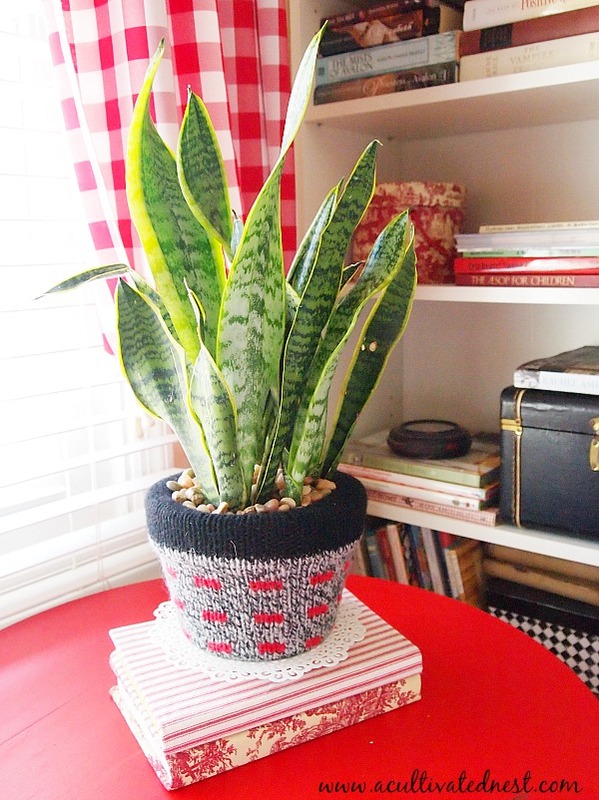 This plant doesn’t need a lot of watering so I think the sweater cover will be just fine for the few months it will be around the pot. You can see how I covered the books with fabric here. How cute and I’ve never seen that before. Very pretty and I like it for covering up plain pots, Manuela! It’s great that the sweater wound up working out with the colors you have going on in your home, too. LOL, well I do tend to wear the colors I decorate with. Lots of red, blue and black. As a matter of fact I had a neighbor actually ask me why I wore so much black? I’d never thought about it…we’re from NYC everybody wears black all the time?!! Cute! I have to say, I usually don’t keep them alive long enough for them to need a sweater! 🙂 A little love for you in my last post! Well it sure does look cozy! Great idea for an old sweater:) Thanks again for sharing your great ideas! 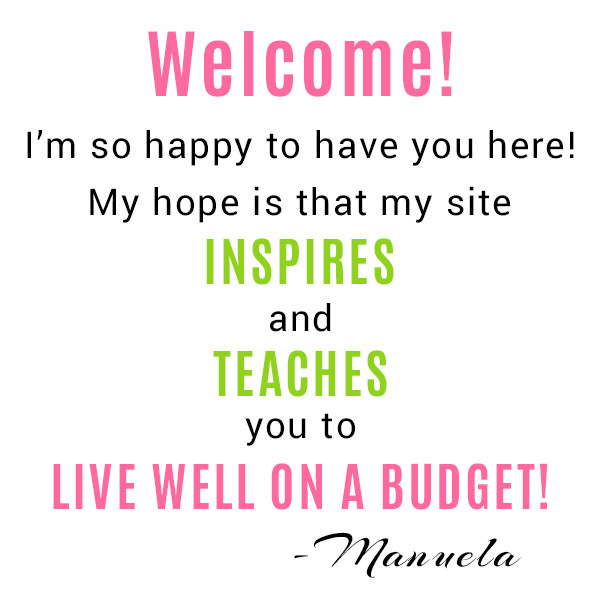 Have a blessed week dear Manuela, HUGS! What a cute idea! I had huge pots of MIL tongue for years – gave one away and left the other outside to late in the year. I should get another as it seems to survive my neglect. That is a really cute idea, Manuela. Have a good week! That is a great idea, I like it! Thanks Cindy! Hope all is well. I think it looks so homey! Wouldn’t that be a wonderful way to use an old seasonal sweater, like a Christmas sweater? What a great idea! I’m going thrift store shopping tomorrow and I will add sweater to my list! It’s adorable Manuela! I’m getting ready to take apart a sweater or two today. I’ve been putting it off because the sweaters are actually very nice so it will be hard to make that first cut, but the truth is I never wear them. I’m not sure I have a pot for this project, but I will definitely keep the sleeves and see what comes to mind. Thank you Doreen! Can’t wait to see what you have planned for your sweaters! So cute! I’m thinking of knit candle cozies for the winter! 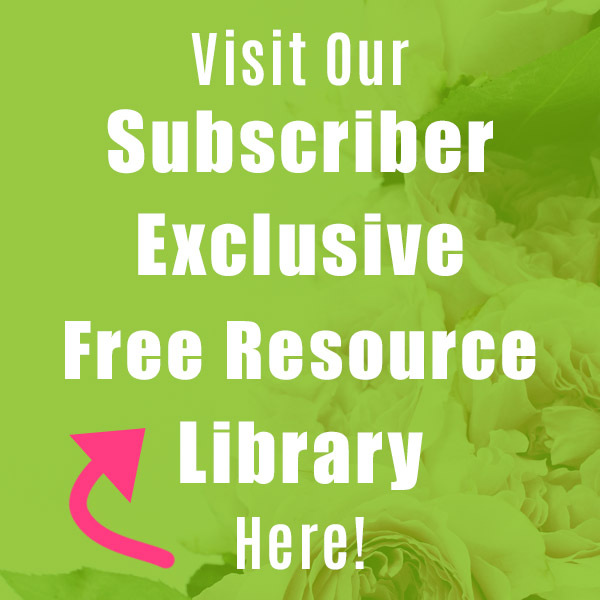 Thanks for linking to the Weekend re-Treat Link Party! xo, S.
I just love this idea. 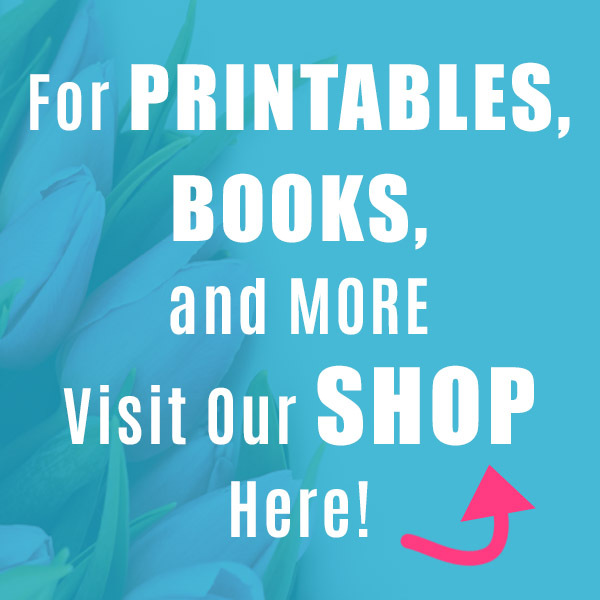 It’s so cute and easy to do!